On our wonderful planet, there are multiple natural resources that help make life easier. 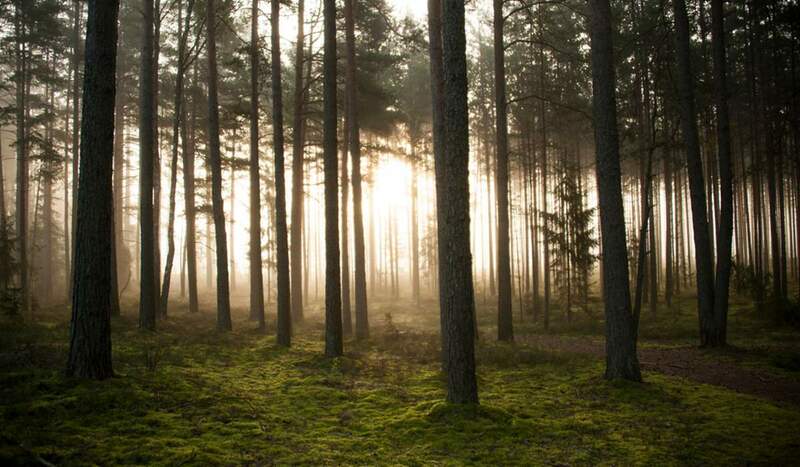 We use trees for making paper products and they provide us with oxygen. We use natural gas to heat our homes and coal to help us produce electricity. Freshwater fish are a staple in the American diet and we pump billions of barrels of oil out of the ground to fuel our automobiles. But what happens when natural resources become scarce, or worse, when they run out? What are the implications of such a thing? And how can we create environmental sustainability? Natural resources occur within nature in their original form, undisturbed by people. Natural resources occur within nature in their original form, undisturbed by people. They are formed over many years without the help of humans. Earth is plentiful with natural resources that develop and re-grow using the surrounding environment. Some, like water and air, are used for our daily survival. Others like coal, gas, and oil are used for other needs. Apart from the resources listed above, rocks and sediments, lakes and rivers, mountains, wetlands, coastal shores, farmlands, sand, copper, clay, manganese, and stone are some of the other natural resources that continue to be depleted with human use. By August 1, 2018, humans used more from Nature than the planet could renew within a year. This is known as the Overshoot Day. The year of 2018 witnessed the earliest date since we started falling into ecological debt in the 1970s (in 2017, Earth Overshoot Day was just a day later, on August 2). At the current global population of 7 billion people, there will be an inevitable increase in the demand of natural resources. As more countries aid in the development of vulnerable populations, the needs for these resources will grow. The Food and Agriculture Organization of the United Nations is predicting that by 2025, 1.8 billion people will be living in countries or regions with water scarcity. The BP Statistical Review of World Energy in June measured total global oil at 188.8 million tons, from proven oil resources at the end of 2010. This will last 46.2 years, under current global production rates. Similarly to oil, we only have enough gas in proven reserves to meet 58.6 years of global production. Without this element, plants cannot grow. With the need to feed 7 billion people, and scientists from the Global Phosphorus Research Initiative predict we could run out of phosphorus in 50 to 100 years. Coal has the largest reserves, but as industrialization continues, demand may outstrip supply. At current rates, we can meet 188 years of global production. Scandium and terbium are two of 17 rare earth minerals used in wind turbines and smartphones. Exact reserves are not known. Humans are using up their allowance for water, soil, clean air and other resources on Earth each year. By August 1, 2018, humans used more from Nature than the planet could renew within a year. This is known as the Overshoot Day. In 1980, overshoot day was in November; it was in October by 1993, and September in 2000. By 2016 and 2017, it had reached August. And though it appears to be moving steadily in the wrong direction, scientists agree it has slowed down. In 2018, overshoot day was still in August. However, it is still necessary for humans to be good stewards of the land and improve the planet’s health. The figure was based on a UN report that calculated the economic value of ecosystems destroyed annually, such as diminished rainfall for crops or polluted air for wildlife ecosystems. The problem has gotten worse as populations and consumption grow faster than the natural world can replace. This had led researchers to predict that by 2030, if nothing changed, mankind would need two planets to sustain its lifestyle. As we come close to that dire prediction, the environmental community must increase its efforts to educate the population on preserving natural resources. 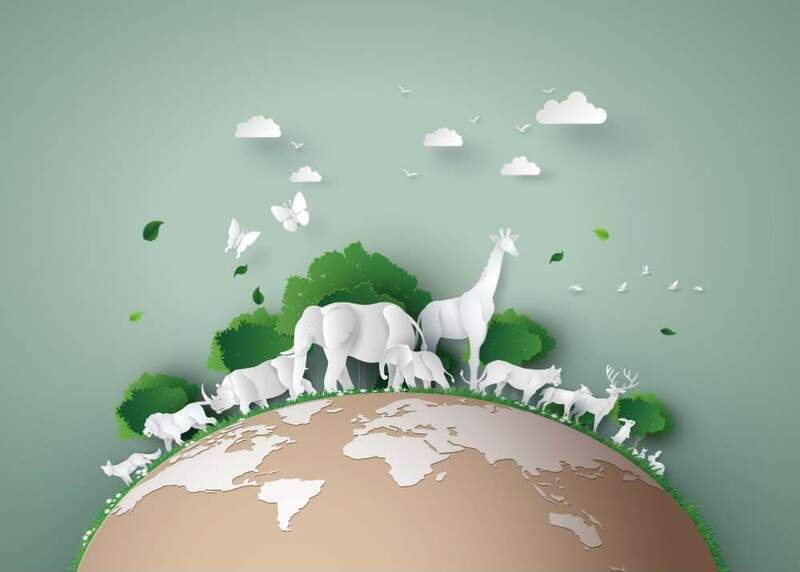 The Living Planet report bases its predictions on an index of the “health of the world’s natural systems”, produced by the Zoological Society of London. They studied 5,000 populations of more than 1,600 species to determine the “ecological footprint” of human demands on the environment. This report also contained information about the “water footprint” of every country and claims that 50 countries already experience “moderate to severe water stress on a year-round basis”. And, it surprisingly shows that 27 countries are importing more than half the water they consume, including the UK, Switzerland, Austria, Norway and the Netherlands. Since the 1970s, indices for terrestrial, freshwater species, marine species, tropical forests, drylands, and grasslands all showed significant declines. During the same time span, the ecological footprint of humans has nearly doubled. Scientists believe that at that rate, humans would need two planets to provide for their wants in the 2030s. In the 1960s, most countries lived within their ecological resources. But today, 75% of the world’s population live in countries that use more than they restore. It is far past time for humans to begin learning about, innovating, and executing sustainable environmental practices. Environmental protection is the primary concern of the future of humanity. It’s crucial that everyone take the depletion of natural resources seriously and do everything we can to sustain our environment. We can all do our part to protect the environment through recycling, reducing power consumption, by walking instead of driving, and carpooling with co-workers, just to name a few. Businesses are regulated to keep carbon emissions low, and governments are now attempting to create incentives for people to install renewable power sources in and around our homes. Environmental protection is the primary concern of the future of humanity. It concerns how technology will provide a greener future. In fact, the EPA recognized that developing technology and biotechnology is vital to sustainability. The sustainable future is a far-off vision, but with new technologies and improvements in the use of older and cleaner fuel sources, many governments and businesses now look forward to a post fossil fuel world. Since the 1950s, technological revolution has resulted in unprecedented growth of new methods for using natural resources, including intensive farming and an enormous increase in daily power needs. These changes have put even greater strain on the planet’s natural resources. As travel has become more sophisticated, we are also far more aware of the plight of the developing world. The needs of the poor and most vulnerable have come more into the societal consciousness. Scientists and researchers are able to observe and quantify both natural and human-caused disasters facing the planet. The effects these will have on ecosystems and the human population are cause for concern. The range of resources we use every day requires raw materials to produce. Plant life, aquatic life, water, minerals, and so many other natural resources are in serious danger of depletion. We must be more sustainable in our use of these resources by limiting and preventing waste, being more efficient and adopting the use of renewable resources, such as wind and solar power. Government entities began the careful monitoring of our natural resources years ago. This year’s reports from Ireland, for example, indicate that their Environmental Protection Agency monitors rivers and streams, lakes, water quality, marine life, aquatic plant life, and waste management. The time is now to develop and create new, cleaner technologies to help with our resource demands. The resources provided by the Earth have allowed humans to evolve and progress in industry, agriculture, and technology. However, if we continue to use these resources as if they will always be available, human life will be in danger around the globe. It is our responsibility to make strides in environmental innovation and use more alternative resources to meet our needs. Harnessing alternative energies and resources will extend our ability to continue functioning at current levels.